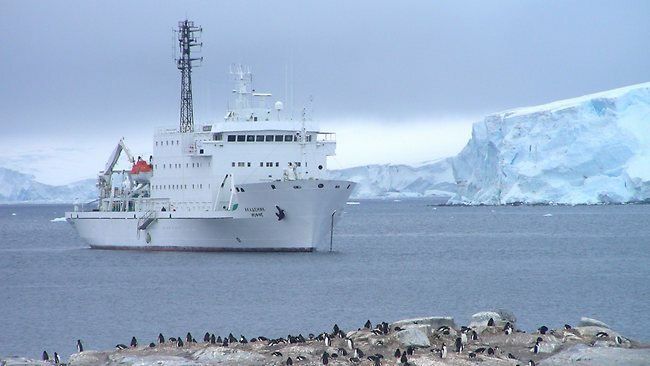 One Ocean Expeditions ship Akademik Ioffe in Antarctica. 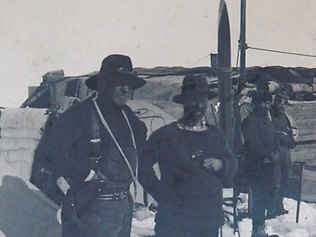 IT WAS his final wish to be buried next to Ernest Shackleton and 90 years after their last expedition together, Antarctic explorer Frank Wild's request will finally be granted. Wild, considered one of the great Antarctic explorers, will be buried beside his former boss in Antarctica this year after an exhaustive search for his long-lost ashes. Four of his Australian descendants will be among the passengers taking part in a commemorative cruise with One Ocean Expeditions to South Georgia in November to take his ashes to their final resting place.